The Viano is also the ideal vehicle for corporate clients for Airport transfers, Corporate Events and meetings. 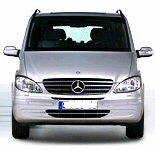 The Viano assures immense practicality, but retains all the usual refinements expected of a Mercedes Benz vehicle. Our extra long wheelbase is also ideal for golfers heading to the many beautiful courses in Scotland. If you are looking to tour Scotland this is the vehicle for you. Private tours are arranged to your requirements. 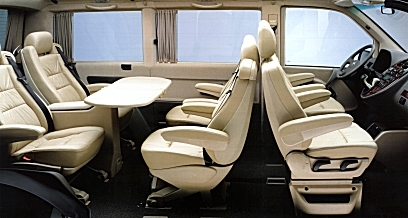 PLEASE NOTE WE NO LONGER HAVE THE TABLE IN OUR VEHICLE BUT WE CAN SEAT UP TO 7 PASSENGERS AND THE EXTRA LONG WHEELBASE CATERS FOR ALL THE LUGGAGE.